Endlessly fascinated by pirate life, Elizabeth gets what she has always dreamed of - and then some, when she is kidnapped by Barbossa's pirates under the mistaken impression that her blood is needed to lift the Aztec curse. In actual fact, the Aztec medallion she carries is a trinket she picked up from Will when she found him drifting at sea. Though frightened as she confronts the terrible reality of piracy, Elizabeth remains cool and collected even when threatened with murder. 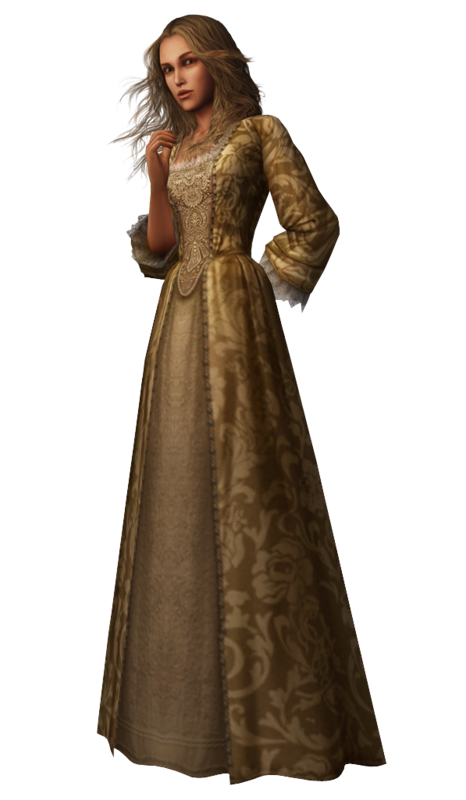 As the daughter of the Port Royal gorverner, Elizabeth is supposed to remain at home a proper lady, but she leaps at the chance to save Will despite the horrors she faced. After a frolicking adventure amongst the high seas alongside Sora and his friends, she agrees to become one of Jack's crew.